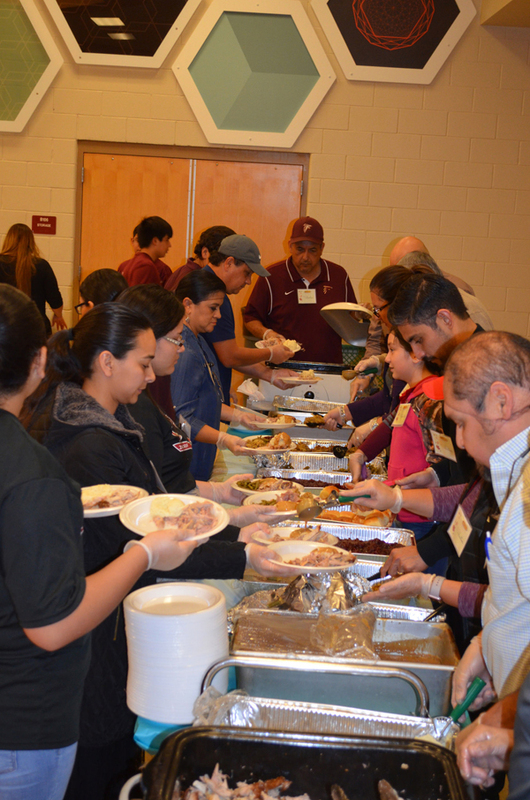 More than 600 people and 100 volunteers came together at the Los Fresnos United Cafeteria for a successful 9th Annual Thanksgiving Feast. 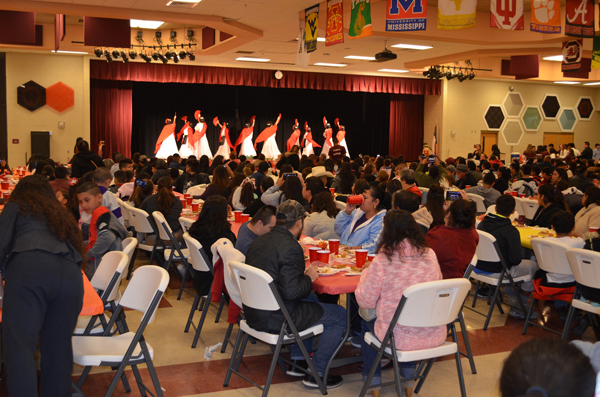 The event was co-sponsored by the Los Fresnos CISD Family Engagement Office and the Communities in Schools program. 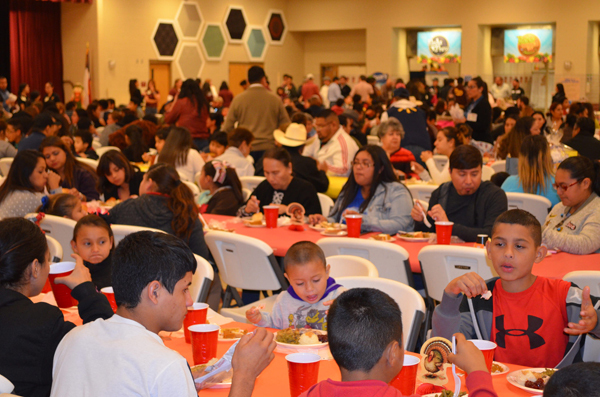 Brownsville and Los Fresnos businesses donated door prizes for families who attended. Performing on stage were the Los Fresnos High School Conjunto Halcón and the LFHS Folklorico. The volunteers included workers from Wal-Mart, members of the Los Fresnos Rotary, and students in several LFHS student organizations.